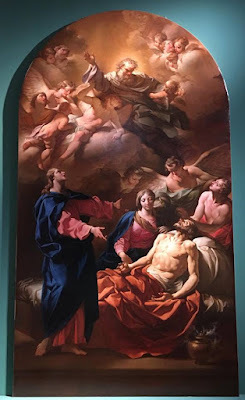 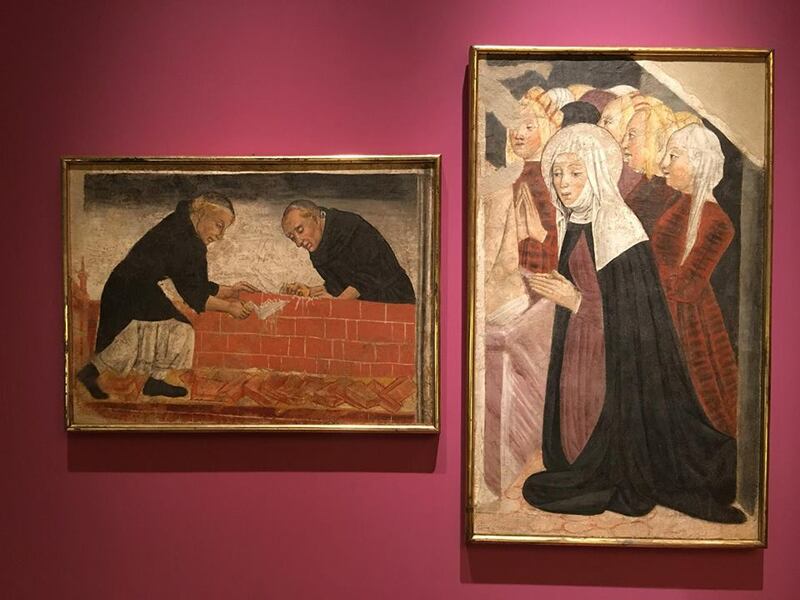 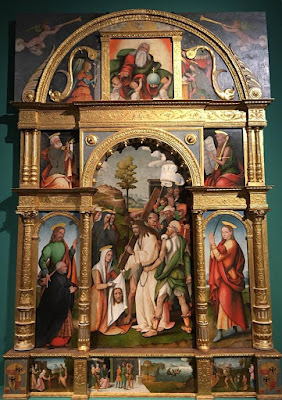 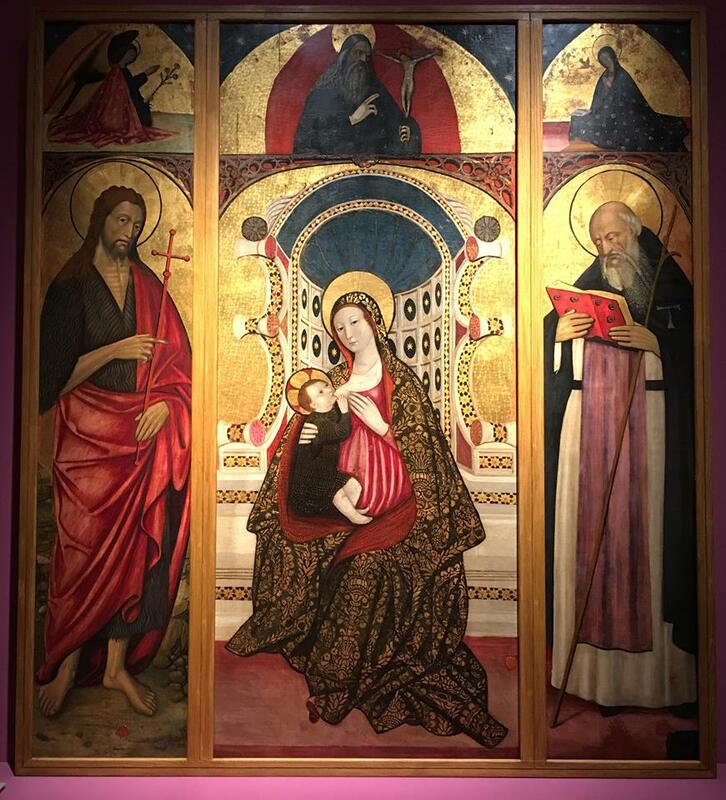 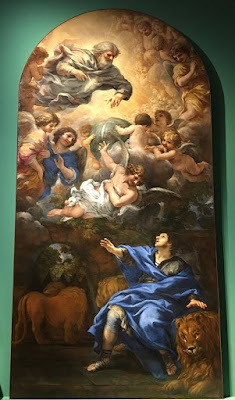 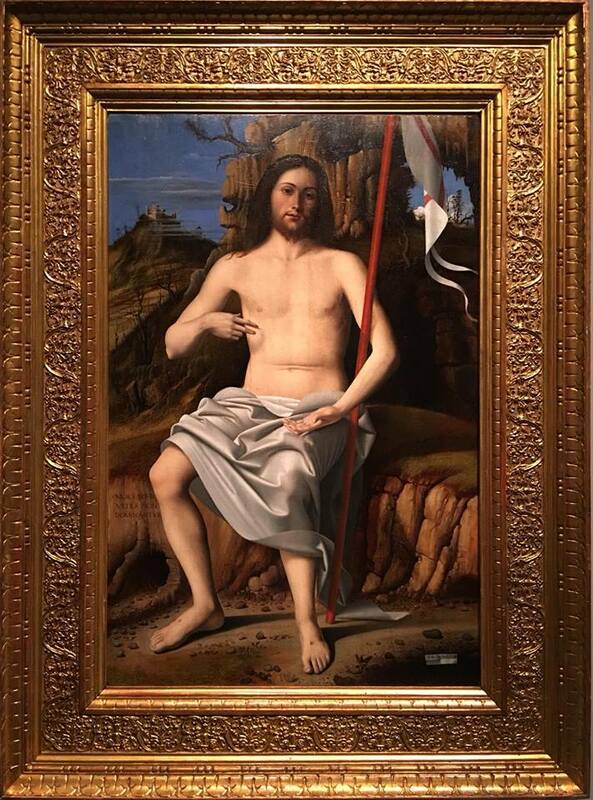 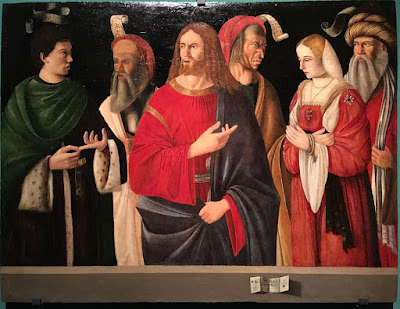 And speaking of beautiful things, here is the final part of Nicola’s photos from the on-going show at the Regia di Venaria in Turin, Italy, showcasing artworks and objects that have recently been restored in one way or another. Last week we had first a collection of liturgical objects, followed by medieval and Renaissance paintings; today we finish off with mostly Baroque paintings. Many thanks to Nicola for sharing these with us! 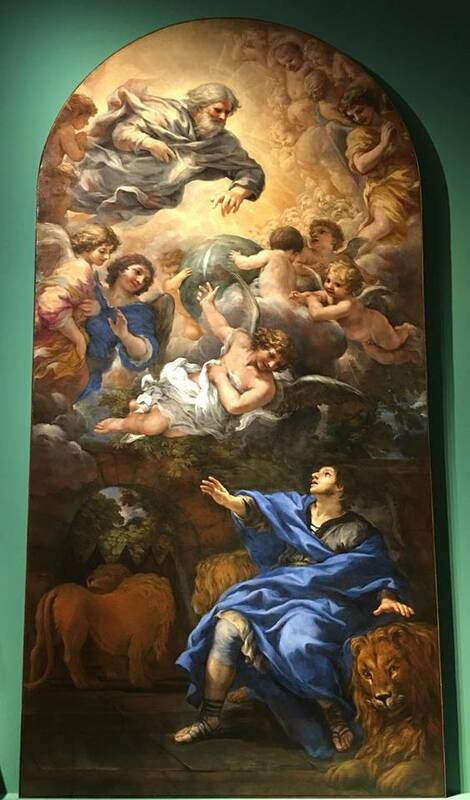 Pietro da Cortona - Daniel in the Lions’ Den; 1663 ca., from the Gallery of the Academy in Florence. 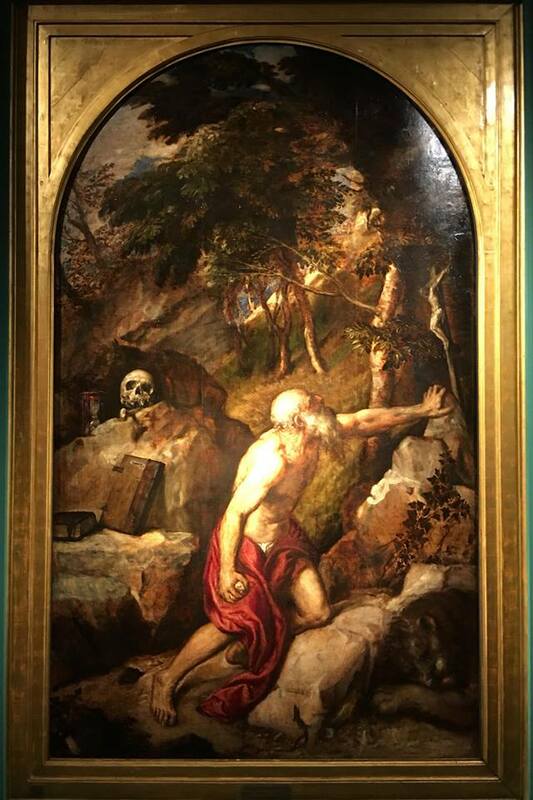 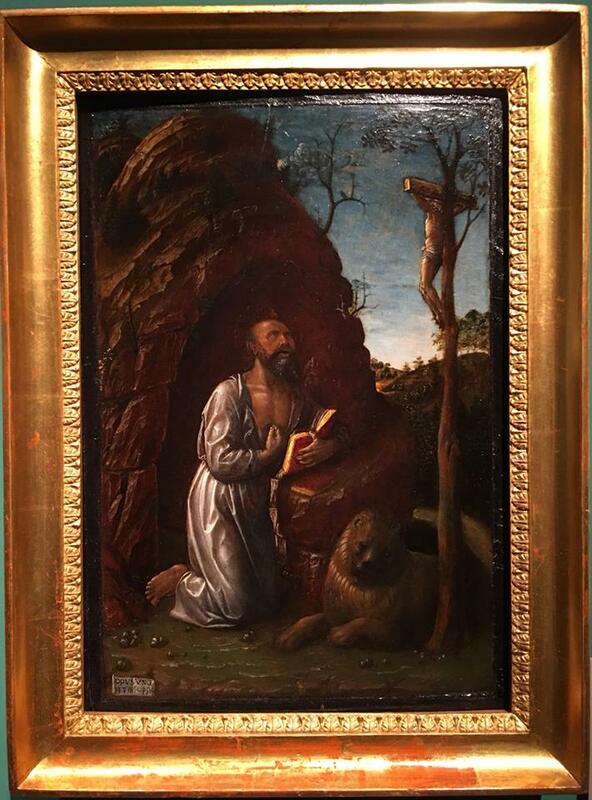 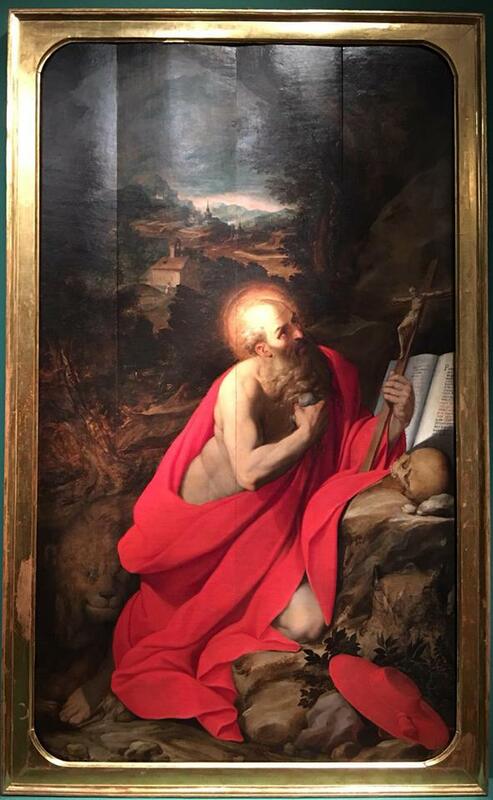 Camillo Procaccini - The Penitent St Jerome, 1590-95; from the Archiepiscopal Sanctuary of St Raphael in Milan. 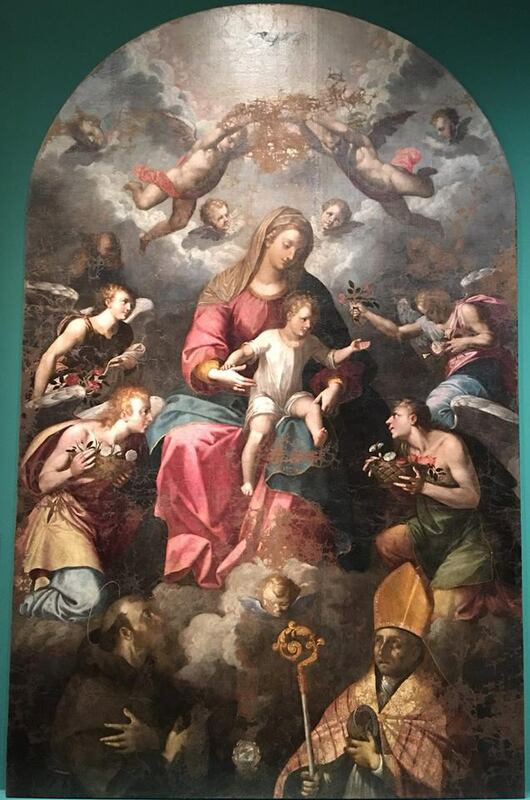 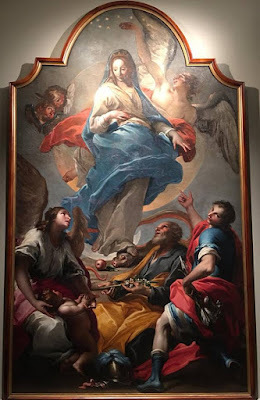 Giuseppe Antonio Tosi, called “Il Cuzzio” - The Madonna of the Immaculate Conception with Ss Joseph and Sebastian, and a Guardian Angel; first quarter of the 17th century, from the parish church of the Assumption in Crevacuore, Piedmont. Donato Creti - St Frances of Rome Presents the Christ Child to Her Confessor; 1731, from the archives of the archbishopric of Lucca. 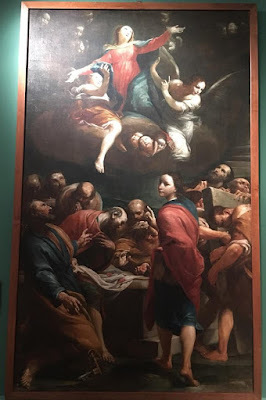 Giuseppe Maria Crespi - The Assumption of the Virgin; 1730-32, from the archives of the archbishopric of Lucca. 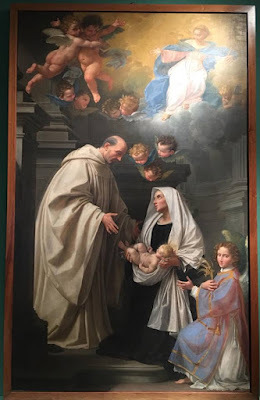 Pietro Antonio Ferro - Madonna and Child with Ss Francis and Eligius; 1621, from the church of St Francis in Tolve, Basilicata. 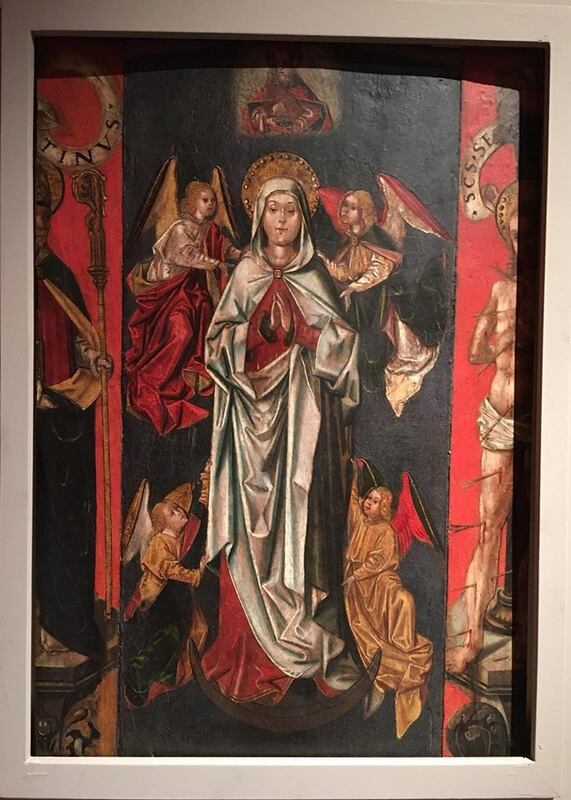 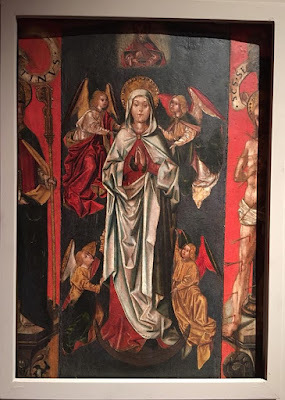 Unknown Hispano-Flemish Master - Triptych of the Assumption, from Penna in Tervina in Umbria, end of the 15th or beginning of the 16th century. 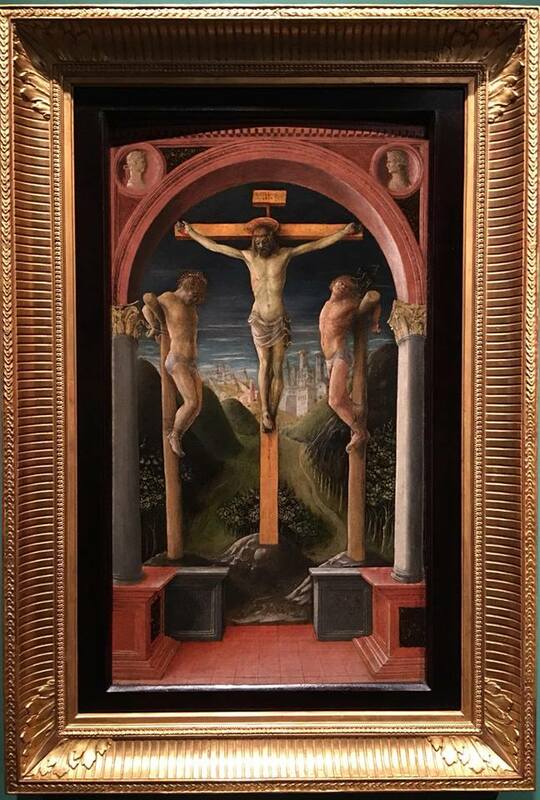 Angiolillo Arcuccio - Triptych, ca. 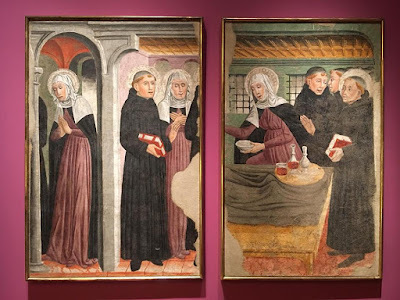 1465-70, from the Basilica of St Dominic (San Domenico Maggiore) in Naples. Gian Giacomo da Lodi - Fragments of fresco with stories from the life of St Augustine, from the deconsecrated church of St Mark in Vercelli, ca. 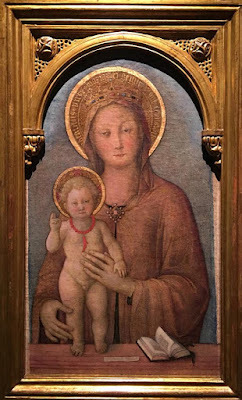 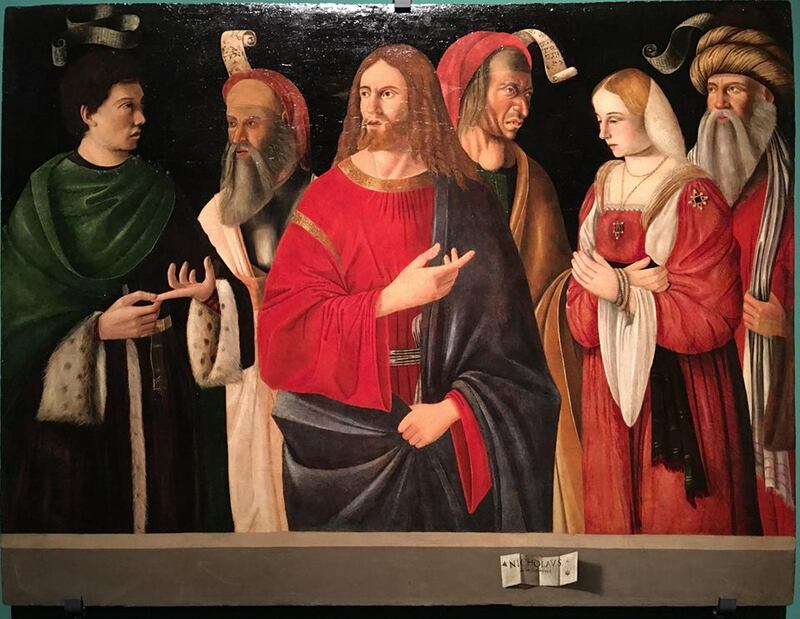 1470-75, now in the Museo Borgogna in Vercelli.